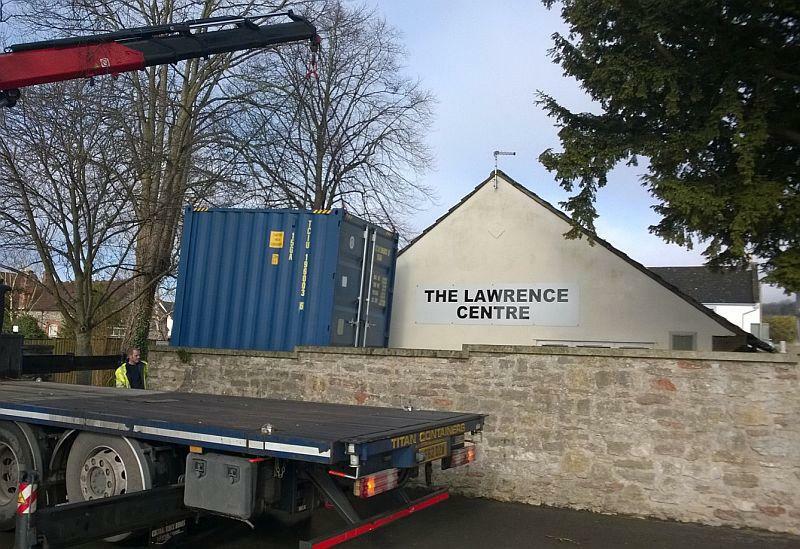 Avalon Rotary Club teamed up with Wells Rotary Club to fund and install a storage container at the Lawrence Centre in Wells, and this is pictured being lifted in for installation. It is required for furniture storage as their main hall is no longer able to acomodate the growing number of tables and chairs required as their clientelle expands. The Lawrence Centre provides a recreational service for more senior members of the local community who are able to enjoy the daytime company of others in social activities together with a full meal. Additionally there are classes to learn skills such as cooking, art and exercise in order to keep active, and there are provisions for days out to visit local attractions and also guest speakers are invited to inform and entertain.